The Distance Learning and Telemedicine (DLT) Grant Program is designed to provide access to education, training, and health care resources for rural Americans. The DLT program provides financial assistance to encourage and improve telemedicine and distance learning services in rural areas through the use of telecommunications, computer networks, and related advanced technologies that students, teachers, medical professionals, and rural residents can use. Grants may be used to fund telecommunications-enabled information, audio and video equipment, and related advanced technologies which extend educational and medical applications into rural areas. Grants are intended to benefit end users in rural areas, who are often not in the same location as the source of the educational or health care service. The DLT Grant Program is primarily focused on providing equipment that operates via telecommunications to rural end-users of telemedicine and distance learning. It is useful to keep in mind that while the equipment is eligible, it does not fund the telecommunications that connects that equipment. DLT does not fund communications links between sites (wireless or wire-line) and it does not fund telecommunications or Internet connections. Grants (and eligible matching funds) can be expended only for the costs associated with the initial capital assets associated with the project. Acquiring instructional programming that is a capital asset (including the purchase or lease of instructional programming already on the market). Renewals of instructional programming are not eligible nor is classroom equipment (such as laboratory equipment). Also, expenses (such as those for tuition, fees for coursework on a per course basis, or fees for cultural events or virtual field trips) are not capital assets and therefore, are not eligible. Providing technical assistance and instruction for using eligible equipment, including any related software; developing instructional programming that is a capital asset and providing engineering or environmental studies relating to the establishment or expansion of the phase of the project to be financed with the grant. 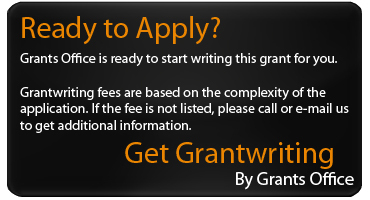 The costs for this category cannot exceed 10% of the grant amount requested. To pay for medical or educational equipment not having telemedicine or distance learning as its essential function; including telephone systems. To pay for Electronic Medical Records (EMS) systems. To purchase equipment that will be owned by the local exchange carrier or another telecommunications service provider unless that service provider is the applicant. 2017 awards can be seen at https://www.rd.usda.gov/files/DLT_Awardees_2017.pdf. The DLT Grant Program is a competitive program. Applications are scored in objective and subjective categories. Objective Criteria: statistical in nature and evaluated by comparing statistics on numerical data. Special Consideration (Up to 10 points): RUS will offer special consideration to applications that have STEM education or opioid treatment as their primary purpose. Special Consideration points must be specifically requested using the sample Special Consideration Worksheet or a similar document. Training of medical professionals, counselors or first responders in the interaction with opioid users. Be legally organized as an incorporated organization or partnership; an Indian tribe or tribal organization, as defined in; a state or local unit of government; a consortium; or other legal entity, including a private corporation organized on a for-profit or not-for-profit basis. Each applicant must provide written evidence of its legal capacity to contract with the Rural Utilities Service to obtain the grant and comply with all applicable requirements. Either operate a rural community facility, or deliver distance learning or telemedicine services to entities that operate a rural community facility or to residents of rural areas at rates calculated to ensure that the benefit of the financial assistance is passed through to such entities or to residents of rural areas. Equipment vendors, system integrators, and other businesses whose purpose in the proposal is to sell equipment or technological services to support applicants cannot themselves be applicants. Additional Eligibility Criteria: Minimum Rurality Score - In order to be eligible to receive a grant, an application must receive a minimum of 20 points as an average score for all end user sties included in the project. To receive points, an end user site must not be located within the boundaries of any incorporated or unincorporated city, village, or borough having a population in excess of 20,000 inhabitants. Applications are to be submitted by May 15, 2019. A similar deadline is anticipated annually. Awards range between $50,000 and $500,000 each. The DLT program requires applicants to provide match funds that total 15% of the grant request. Projects last up to 3 years.